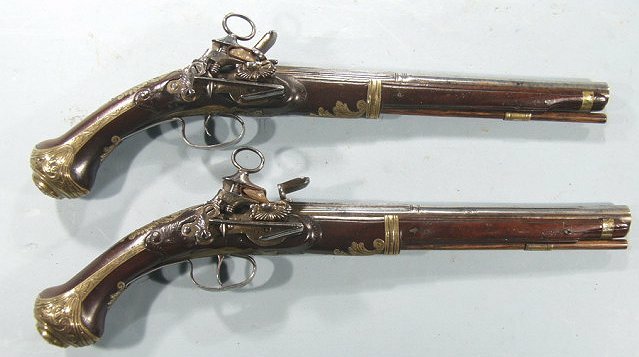 PAIR OF RIPOLL MIGUELET LOCK OFFICER'S HOLSTER PISTOLS SIGNED "SANT", CIRCA 1700-20. 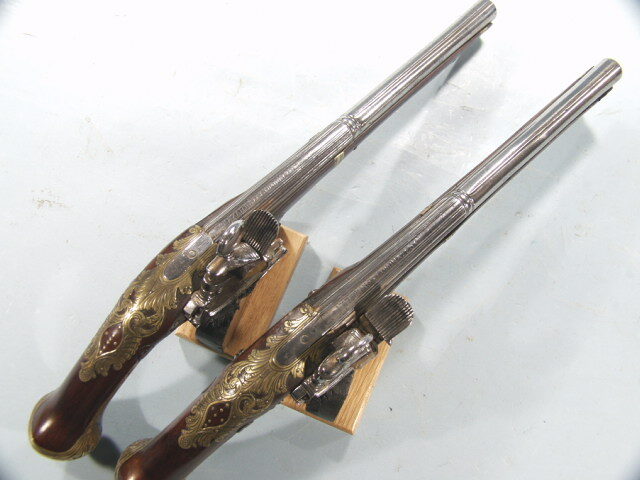 18" overall with 11 1/4" fluted and ribbed .60 caliber smoothbore barrels signed "Lazarino Cominazzo". 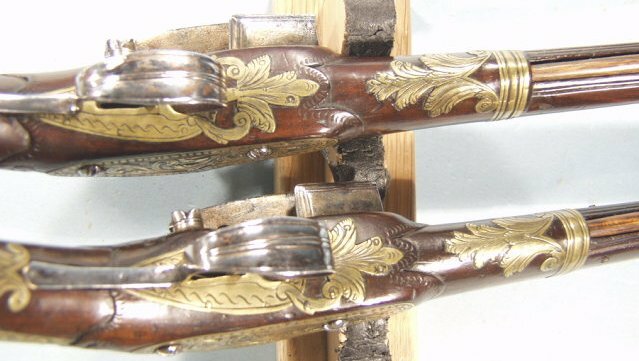 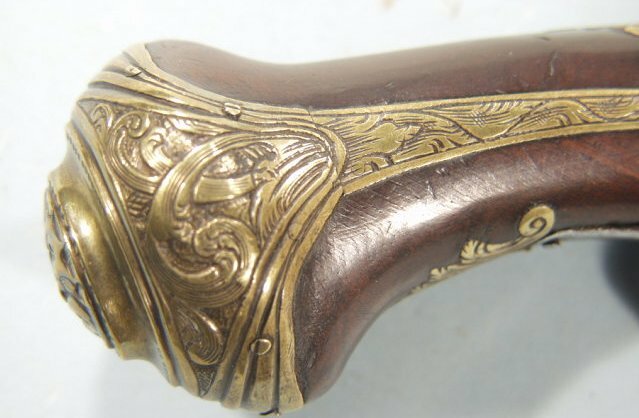 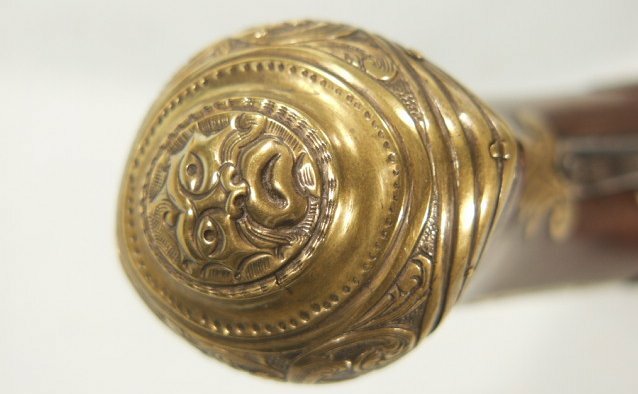 Engraved brass mounts in the Spanish manner and full length rosewood or cherry wood stocks ands ash wood original rods. 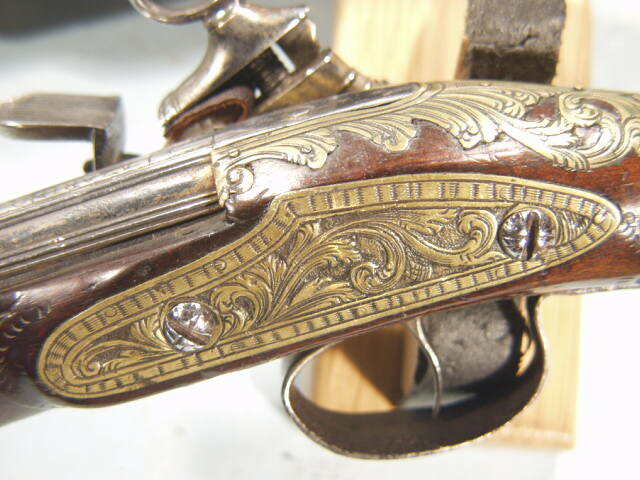 Finely articulated locks signed on the plates "SANT" in a rectangular cartouches forward of the hammers. 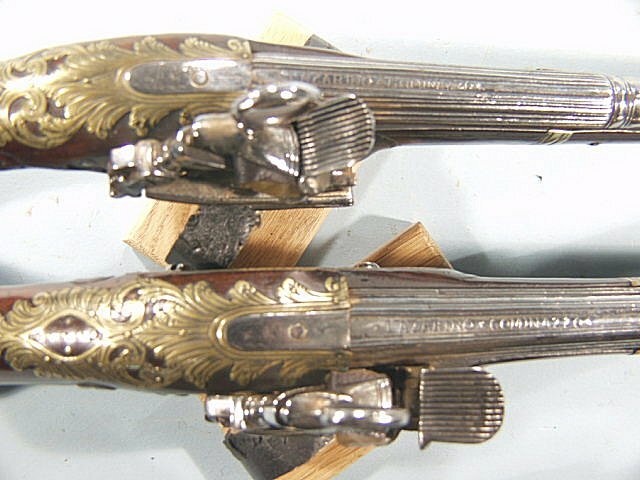 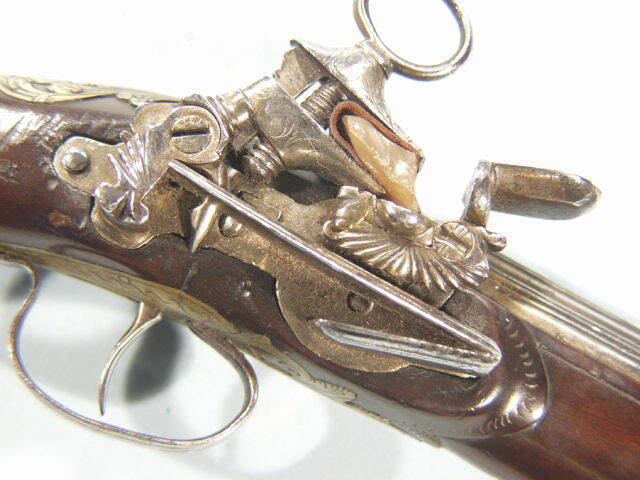 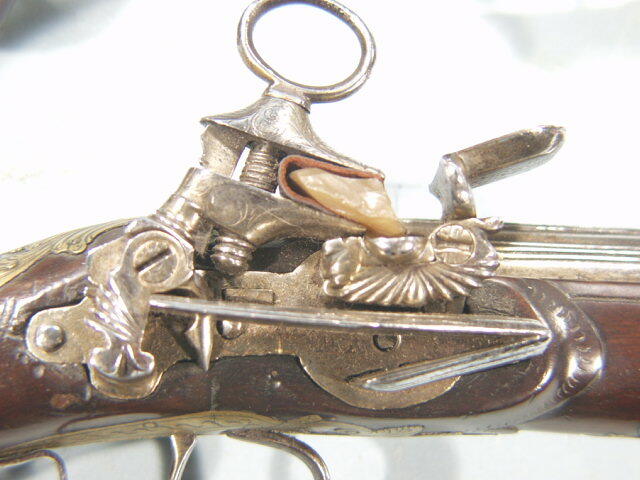 The backs of the frizzens are engraved with Sant's "double headed parrot" countermark.